Holden has offered its clearest indication yet of a commitment to Supercars and Australian motorsport beyond its current deal which ends in 2019. The Australian car company maintains that the nation’s premier race series and motor racing in general is a key part of its marketing strategy moving forward. A three-year extension of its Supercars program was announced in 2016 having elected to switch its factory support to Triple Eight, who were also charged to develop the new ZB Commodore, as part of the arrangement. The ZB Commodore Supercar made its successful competitive debut by winning both races of last weekend’s Adelaide 500 in front of Holden’s Executive Director of Marketing Mark Harland. The long-time General Motors employee plays a key role in deciding the brand’s motorsport programs since the exit of general manager of brand, media and sponsorship, Emma Pinwill earlier this month. While Holden’s Supercars plans are yet to be confirmed from 2020 onwards, Harland expects the marque to continue its involvement in the category. “I would say one way or another we’ll be involved, so I’m not going to comment specifically (with reference) to Triple Eight or anything, but at some point we’ll have a contract negotiation with Triple Eight, but I’m keen to support all 14 Commodores,” Harland told Speedcafe.com. “We will still continue to be involved with motorsport one way or another going forward. “I love that it’s (motorsport) a big part of the DNA (of Holden in Australia). “I think the challenge that has been around here is redefining where motorsport sits. “I think there have been times where we’ve said it’s just all motorsport. As a brand we need to be more than just the Commodore, but that being said we can’t move away from something that’s been part of our DNA for decades. Holden will enter a new Supercars era next year when it plans a full championship debut for its V6 twin-turbo Supercar, which will also contest wildcard outings this season. Harland sees this as a pivotal moment for the brand along with the new SuperUtes category, which will become an important platform to leverage its Holden Colorado. “In some capacity, we will be involved with Supercars and SuperUtes, because it is a great platform,” he added. “We’re testing out the twin-turbo V6 right now, and getting a real mind on moving to V6s. “Unless all of a sudden everyone pulls up and says, ‘No, we want to continue with V8s,’ which I haven’t heard from anyone, we’ll be continuing to develop that twin-turbo V6 to be on the race track next year. “The Colorado is very important because the best-selling cars in Australia right now are the (Ford) Ranger and the (Toyota) Hilux, and we just need to continue to build the recognition of the Colorado and there’s no reason it can’t be one of the top two or three vehicles in Australia. 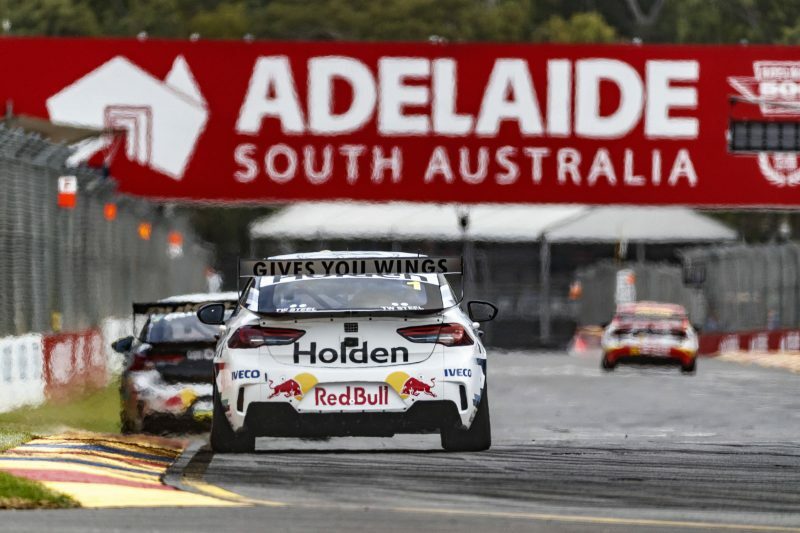 The intent from Holden to continue its support of motorsport in the region arrives at a time where the only remaining Supercars manufacturer team, Nissan, has its plans up in the air. This season is the final year of the Japanese marque’s commitment to Australia’s premier series, having penned a two-year extension in 2016. It is understood discussions are ongoing between the Kelly Racing team and Nissan’s global headquarters in Japan. Outside of Supercars Nissan’s local motor racing commitments have been scaled back since Stephen Lester was installed as its new CEO last year. It was absent from the Liqui-Moly Bathurst 12 Hour for the first time since 2014. Having operated successfully after losing factory support from Ford and Volvo, who exited the sport in recent years, new Supercars CEO Sean Seamer believes the series and teams can rely without full manufacturer funding. However, Seamer feels it is important to help facilitate the ongoing support from marques and assist new manufacturers who wish to join the championship. “I think you’ve just got to make a distinction between manufacturer funding and participation and I think that there is no reliance from up and down pit lane, these guys are all viable, fantastic racing teams that operate at a very, very high level,” Seamer told Speedcafe.com. “I have heard there is discussions between the teams and some manufacturers. “Nissan is having some conversation with the Kelly brothers, there’s discussions going on with Ford at the moment with what things look like for them.